Otaku have long been an economic force to be reckoned with. Their immense spending power has long made them the target of merchants of all types (action figures, DVDs, body pillows), and they even have their own destinations. 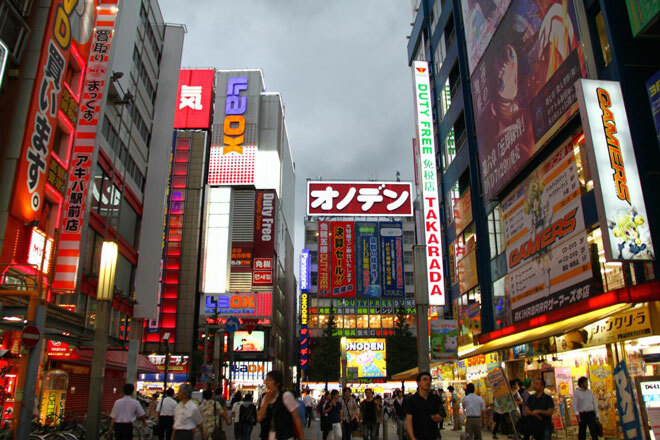 Akihabara, a district in Tokyo, has long been a sort of otaku Mecca. You’ll find rare and highly-sought after otaku merchandise in its shops, maid cafes to titillate an otaku’s sense of moe, and other destinations. It’s where Danny Choo cut his teeth as an otaku figurehead slash Star Wars meets Earth Wind & Fire dancer. What I didn’t realized until recently is that Akihabara isn’t the only holy place for otaku. As a matter of fact, there are a plethora of places that serve as sacred sites for otaku all over the world. It helps that a lot of anime takes place in (or are based on) actual, real-life locations. Given these reference points, artists can put in an impressive level of detail to their recreations of these real-world locales. So where do otaku travel to pay homage to their favorite anime or manga? It depends on what is his or her favorite franchise. Akihabara is fairly unique in that it’s a place that all otaku can enjoy. If you’re a fan of the manga-turned-anime series Lucky Star, then you’re in luck — there’s literally a holy place for you to show your devotion to your favorite series. Two of the main characters in Lucky Star are daughters of a priest at a fictional shrine which was modeled after a real-life shrine by the name of Washinomiya. In the years following the initial airing of Lucky Star, Washinomiya has seen an explosion of otaku tourism. In just two years, the number of tourists visiting Washinomiya quadrupled. 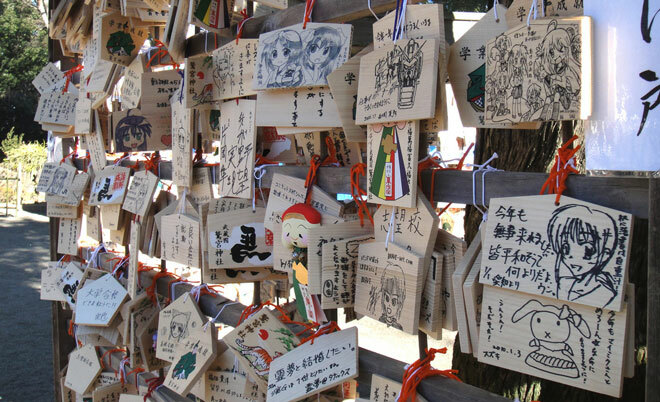 The locals have embraced the surge in otaku tourists, going so far as to invite the Lucky Star voice actresses to come to the shrine, and issuing residence cards to the fictional characters from the anime. It’s true that it’s been years since the Lucky Star anime aired on TV (although the manga is still ongoing), so it will be interesting to see how long the otaku faithful will continue to show up at Washinomiya. If you’re not lucky enough to have an anime or manga that takes place in your town to bring in those juicy, juicy otaku dollars, then why not create interest? One Japanese town, Ugo, after falling on some hard times, decided to rebrand its rice to attract more attention. 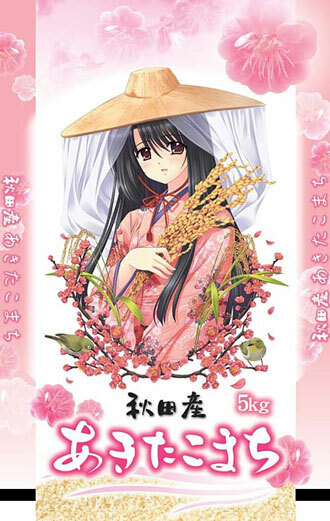 It hired an illustrator to adorn its bags of rice with illustrations of women that would make otaku faint with delight. The newly-branded rice sold three times as much as it normally did and also, strangely enough, attracted flocks of otaku to Ugo. I can more or less understand otaku who travel to various locales in Japan. After all from an American perspective, Japan is a relatively small country and its transit system is pretty top-notch. Getting from Point B isn’t especially hard. But there are an elite class of otaku who take their pilgrimages to the next level. How about visiting another continent to fulfill your otaku fantasies? The town of Cuenca, Spain, has also been blessed (or cursed, depending on your view) as an otaku vacation destination. The anime series Sound of the Sky used Cuenca as a reference point for many of its settings. It’s not surprising then, that once otaku figured out what the landscapes of Sound of the Sky were based on, they made hajj to Cuenca. This all just underscores a question I’ve been asking most of my life: how the hell do otaku have so much disposable income? Maybe it’s time to adopt the traditional otaku diet of instant ramen and save up for my own pilgrimage.